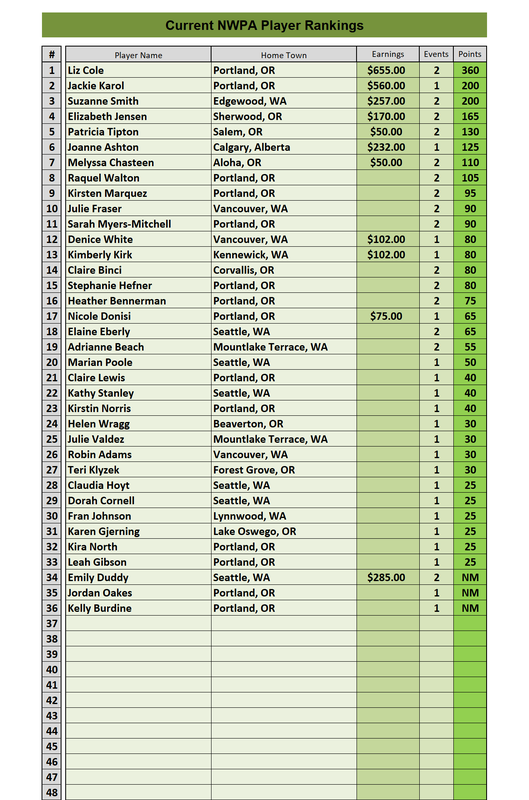 This list shows players who have joined the NWPA, non-members do not accumulate points. If an NWPA member has not paid their NAPT membership fee, then these points do not count towards qualifying for any NAPT event, including the Regional Tour Championships. The first tiebreaker goes to the higher money earner. Just wanted to take a moment to thank you all for a job well done. It was great fun starting back into competition – seeing old friends and making new ones – and I am truly looking forward to seeing everyone next year. Thanks again for all your hard work and thanks, also, to Rail2Rail. Friendly and positive bunch of ladies.